Does this date send a secret tickle up your spine? A ghost of a tingle? Do you find yourself avoiding ladders, black cats, cracks in sidewalks? There is a name for what ails you, my friend: paraskevidekatriaphobia, from the Greek for “fear of Friday the 13th.” But a soupçon of chills can be a delicious thing, no? 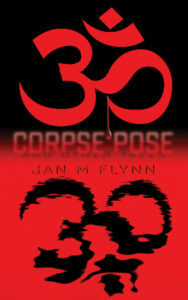 And so I have chosen today to launch into the world my own mischievous mind-spawn: a collection of short stories titled Corpse Pose and Other Tales, available FREE as an ebook on Amazon’s Kindle Store today through Sunday at midnight! I see these ten stories as a blend of horror, humor and heart, but no slasher gross-out stuff — think Twilight Zone or The Outer Limits, not Texas Chainsaw Massacre. 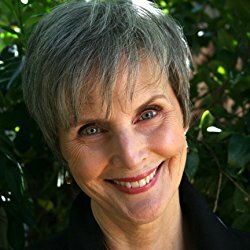 I read and admire a lot of genres, as well as “literary” works — but I have a special fondness for a well-told tale that takes me into a realm that’s close to my own but with a beguiling intrusion of the magical, the mystical, the fantastical: the world as it could be if it were tweaked just a little, or if it slipped a degree on its reality-based axis. For example, I’m a fan of Neil Gaiman and Karen Russell. Seriously, have you read Vampires in the Lemon Grove? Or St. Lucy’s Home For Girls Raised By Wolves? Or Coraline or American Gods or anything at all by Gaiman? Brilliant, original, genre-transcending stuff and I’ve got some nerve, mentioning my own book in the same breath as these authors, except that I see no point in not aiming high. Two of the stories in this collection, Stuffy and Sub, have won national and international awards from Writer’s Digest, just sayin’. And here’s my hope: that you’ll use the free promotion to purchase the book for $0.00, read it (ten stories: a pretty quick read) and then, pretty please, post a review on Amazon. If you like the book — and like the idea of helping a new author get her work off the ground — you can play a great big role in helping Corpse Pose and Other Tales become visible to other potential readers. And you will earn my forever undead gratitude. Don’t let this be a one-way conversation. I’d love to know about the stories that have given you delicious shivers, as a child or an adult. And what do you do to keep the Friday the 13th boogeyman at bay? Don’t let paraskevidekatriaphobia get you down: please comment!